This Google Slide 10 & 20 Frame Manipulative was inspired by conversations via my Twitter PLN. I find Google Slide to be an easy way for creating quick manipulatives which can pack a powerful punch. The manipulatives can be used with an Interactive Whiteboard (IWB) or large touch screen for whole group and small group instruction. 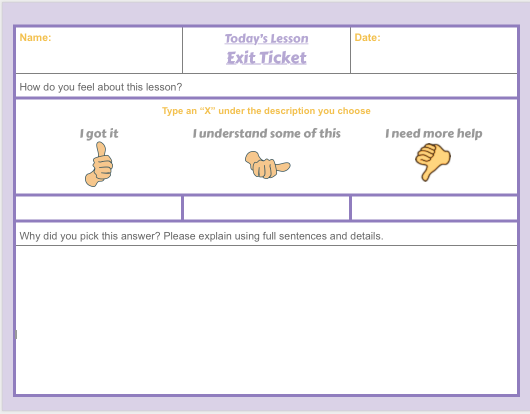 It can also be used by the individual student for practice or support on a one to one device. One of the beauties of using a Google Slide as a manipulative is it can be accessed outside of school. This may provide the student with extra support for doing homework, independent practice or studying before a test. When the manipulative is shared between the teacher and student it can provide valuable insight for how the information is being digested by the student. This information may assist a teacher in deciding if re-teaching is necessary for the content covered by the manipulative. I see manipulatives of this kind as a “Win-Win” for both the teacher and student. Hello! I am new to google slides and am trying to transition from Smart Notebook files. I miss the ability to move things across the screen, then I came across your post with exactly that option! I’m really confused though and think I’m missing something. I don’t know how to get the icons to move. Everytime I put it into presentation mode so it can be full screen, I’m not able to click or move anything. It just advances to the next slide. How do I use the interactivity of these kinds of google slides? Hello Tiffany the activity isn’t meant to take place of smart notebook. I suggest making a copy of the activity and using the Google slide in edit mode. Edit is the way for students and teachers to use the manipulative.